Presque Isle – Betty C. Walker, 86, passed away on August 26, 2018. She was born on March 26, 1932 in Twymans Mill, Virginia, the youngest daughter of Walter and Florence (Estes) Cole. Betty married her high school sweetheart, Rollan W. Walker on December 5, 1950. After high school Rollan enlisted in the Air Force while Betty attended and graduated from nursing school in Richmond, Virginia. Betty and Rollan spent the next 21 years traveling across the country and overseas before getting a final stationing at Loring Air Force Base and retiring to live in Presque Isle, Maine. Betty was a familiar face at the Aroostook Medical Center where she spent 20 years as a nurse. Betty’s compassion for others was visible in her volunteer work with hospice and at a local physician’s office. Betty’s volunteer experience as a member of the hospice volunteer group created an awareness in her of those passing without family nearby and she became an avid supporter and in turn was very pleased to be able to attend the opening of the Aroostook House of Comfort. 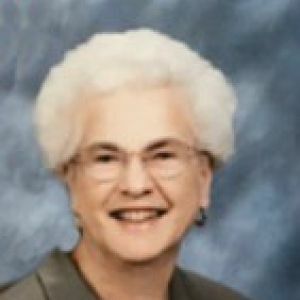 Betty’s faith was evident as she was the President of the United Methodist Woman and a member of Mary-Martha Circle. Betty’s travels to Jerusalem strengthened her religious connections. Betty is survived by her son, Rollan T. Walker and wife, Rhonda of Herman, her grandchildren Tom and wife Candice, Scott and companion Courtney and Emily Walker, and step-granddaughter Kristen Thompson. She is also survived by great-grandchildren Tyler, Brielle, McKinley and Ivy, along with step-great-grandchildren Austin, Emma and Sylvia. Betty was predeceased by her parents, her husband Rollan, her daughter Dawn, her sisters Genevieve and Evelyn and brother Battle. Betty will be especially missed by her close friend Jo Ann Hubbard, who continued to visit and support Betty through her move to Hermon. Jo Ann was a devoted friend whom Betty adored. Betty enjoyed spending many hours a week keeping in touch with her friends and family members via mail and phone. A memorial service for Betty will be held at 1:00 p.m., Friday, September 14, 2018, at Grant Memorial United Methodist Church, 79 Fleetwood Street, Presque Isle. A private interment will follow at the Northern Maine Veterans’ Cemetery in Caribou. In lieu of flowers friends who wish to contribute in memory of Betty C. Walker may donate to a cause that was dear to her; the Aroostook House of Comfort, P.O. Box 867, Presque Isle, Maine 04769.